Memes happen. Whether it's a Catch-Phrase that catches on, an intentionally or unintentionally funny moment, or an unfortunate coincidence, these things spread throughout the Internet like a virus. Sometimes crew members catch on and reference them. It can be anything—a line at a convention, a YouTube video, even a piece of supplementary material. To qualify for this trope, it just has to be outside the show. Often, this takes the form of a "lesser" worker (as in, not the creator or showrunner himself) referencing it, as trying to get it put into the script could potentially cause an uproar. Also, a lot of memes are OOC, risqué, or just plain random, which wouldn't fit at all in canon. The Expanded Universe gets more leeway in this department. A Sister Trope to Ascended Meme, which is when the show itself references the meme. Wayne Grayson, voice of Joey in Yu-Gi-Oh!, said "Brooklyn Rage!" several times at a 2008 convention. He referred to it as "his favorite line" even though "It's not even a line my character says, but I've been saying it all weekend". Also, in regard to Yu-Gi-Oh! 5D's: Card Games on Motorcycles. Dan Green once read a dialogue between Yami Yugi and Yugi from the Abridged Series. It has to be seen to be believed. Christopher Sabat frequently acknowledges the "OVER NINE THOUSAAAAAAAAAAND!!!!" meme, though he does find it odd that people ask him to say it when it was a line from the older dub that he had no involvement in. He intentionally trolls anyone who asks him to say it by stringing them along in the conversation until they figure out that they're being trolled. In the TV version of Dragon Ball Kai, his "Over 8,000!" linenote Which is what Vegeta actually said in the Japanese version in the first place. from the DVD release is changed to 9,000, complete with the hammy delivery. Also in Kai, Funimation cast Team Four Star to play characters in the Cell Games reenactment movie from the Buu Saga, in a scene that references several DBZ memes (including Over 9000!). Although Toei Animation forced them to remove the audio from the TV broadcast, Abridged!Krillin's voice can still be heard at the very end since it's part of a scene rather than the "movie". The Funimation announcement of Nagisa's VA for the English dub of Free! referred to him as "the cute, hilarious, definitely-not-a-thug Nagisa Hazuki", referencing 50% OFF's version of the character. Attack on Titan: The parody Spoof on Titan, made by Hajime Isayama himself, pokes fun at some of the fandom's memes and shipping pairs. JoJo's Bizarre Adventure is infamous for its dramatic, stylish poses, and the fan tendency to recreate them in real life. Not only has the author/artist, Hirohiko Araki, done it himself (see his page image), but the posing made it into an ad for one of the video game adaptations! The Lord of the Rings: It took them 8 years to catch on, but Peter Jackson actually got Orlando Bloom to sing his famous Stupid Statement Dance Mix "They're taking the hobbits to Isengard!" on the set of The Hobbit. Thanks to a particularly popular mashup of "Guren no Yumiya" with a dance number from a Bollywood movie starring screen idol NTR Jr., the Japanese release of a new Bollywood movie with the same lead actor actually promotes him as the Shingeki no Indian. To promote their airing of Downfall, SBS made a Hitler Rants video. George Lucas, creator of Star Wars and namesake of the notorious George Lucas Altered Version, sometimes wears a t-shirt reading "Han Shot First", a reference to one of its most hated changes that became a meme within the fandom. Jurassic Park: Phil Tippet is fully aware of the meme as a "Dinosaur Supervisor" and getting backlash for having dinosaurs escape, especially the raptors in the kitchen. He ran with it, and posted "I have one job" on his Facebook account involving Jurassic World. Ben Affleck learned to not be silent while making interviews with Henry Cavill, or otherwise people will play a Simon & Garfunkel song over it. Later in the same interview, when asked what fans on the street say to him: "I hear a lot of, uh, that I was the bomb in Phantoms, yo." 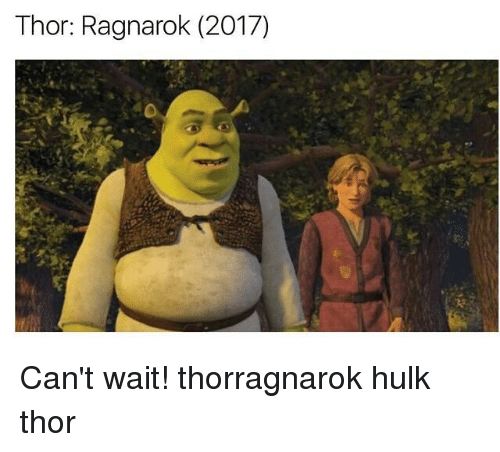 Mark Ruffalo posted this meme ◊ of Thor: Ragnarok to promote his appearance on Jimmy Kimmel Live!. Robert Downey Jr. regularly reposts MCU memes, specifically those featuring Iron Man, on his social media. Muppets Most Wanted: As seen in "A Very Pentatonix Christmas", Constantine is aware of his status in the "Evil Kermit" meme, and he's not a fan of that being what he's famous for, compared to Kermit's fame as a pop culture icon. The #BlackHogwarts hashtag, which documents the events in Harry Potter from an African-American perspective, is acknowledged by J. K. Rowling herself a mere few days after it started trending. "Bear" Grylls of Man vs. Wild has occasionally made jokes about reacting to events with "better drink my own piss" just like the meme parodying this trait of his . When Elizabeth Berkley, best known as Jessie Spano on Saved by the Bell, appeared on Dancing with the Stars, she and her partner Val had some fun before they had to do a jive routine by recreating one of the 90's series most iconic (and infamous) moments that has reached meme status: Jessie's caffeine-pill fueled breakdown while singing "I'M SO EXCITED!" The Internet rejoiced. Similarly, Alfonso Ribeiro's jazz routine to "It's Not Unusual" in Season 19 included the Carlton Dance. Oprah Winfrey famously gave away cars to everyone in her audience in a 2004 episode of her show. Her screams—particularly "YOU GET A CAR! "—quickly reached meme status. Nine years later, when Oprah appeared on Jimmy Kimmel Live!, she was in the middle of talking about her new film The Butler when she suddenly stopped the interview and declared "I just got that feeling again." She called a random woman from the audience down to the set and abruptly screamed "YOU GET A CAR!," giving her the keys to a brand-new Ford Fusion that was outside. The whole thing was played as a joke, with Oprah describing her "problem" of giving away new cars as a compulsion that she tries to keep under control—in this case, she apparently skipped lunch, which made her condition flare up. In The Sopranos, a second-season episode has Livia Soprano watching Emeril Lagasse's cooking show, Emeril Live, on television, and complaining that he doesn't wash his hands at all before preparing food. Due to the popularity of the series and fan amusement with this comment, Emeril himself would make a point of washing his hands before making anything afterwards, and turned the comment into a Running Gag about how he hoped "the woman from Sopranos doesn't bug me." In the UK comedy Wasted, Chronically Killed Actor Sean Bean appears as the spirit guide of one of the protagonists, frantically Adam Westing the whole time, while dressed as Ned Stark from Game of Thrones. The first season ends with him delivering the line "One does not simply kill Sean Bean". After the LazyTown song "We Are Number One" became the subject of a number of parodies (usually titled "We Are Number One but [description of the changes]"), the official YouTube channel went ahead with "We Are Number One but it's the original and it's 1 hour long...."
In addition, the original actors performed a live version of "We Are Number One" and also released a video of all the individual components making up the song. All of this was done to keep the memes flowing. People getting disturbed by the world, specially technology-related news, often inspires "This is so Black Mirror" responses. Twice, it warranted the show to respond, once when Life Imitates Art, and another when the 2016 election led the phrase to be used too many times. During the run of Kamen Rider Ex-Aid, the web-exclusive Poppy Pipopapo's Room video series had an episode where Poppy and Emu try some gummies and scream "JUICY! ", parodying the "Juicy Kid" from the Kamen Rider-branded gummy advertisements. The Doctor Who Twitch marathon spawned a meme from Ian Chesterton's excited reaction to returning home to "London 1965!" As a result, the official Doctor Who YouTube channel changed the title of the clip where this happens to "London 1965". Rick Astley himself Rickrolled the Macy's Thanksgiving Day Parade, in what has become one of the parade's most memorable moments in its almost 90-year history. The official account of Schitt's Creek has tweeted out memes featuring the line "You're My Mariah Carey." Mariah Carey has retweeted these memes and endorsed the show, to the intense delight of show Show Runner Daniel Levy. Late 2014 saw a meme on Vine featuring Randy Orton using his signature RKO finishing move on people who were falling or in accidents, making it appear as if Orton had caused them to fall. WWE eventually acknowledged it on their front page, and even posted a few vines of their own. For a while, when the WWE has fired or released a wrestler from their contract, the announcements almost always ended with the phrase "We wish him/her the best in all his/her future endeavors." The term "future endeavored" became a meme among the Smart Mark crowd as a means of talking about someone being fired. In The New '10s, WWE actually started selling shirts with "Future Endeavored" on them. For a short time, they also started selling shirts with other common smart mark lingo, such as "I'm So Over," "I Get Heat," etc. However, the shirts quickly fizzled out of production. John Cena has publicly acknowledged the meme surrounding him (and how annoying it is), and teamed up with Cricket Wireless to perform his own take on it. Garland's Dissidia: Final Fantasy voice actor, Christopher Sabat, gave us this little gem. At Comic-Con 2011, a panel featuring the voice directors for Ultimate Marvel vs. Capcom 3 had Taliesin Jaffe (the English VA for Blanka and Adon in Street Fighter IV) belting out "Would anybody like... SOME POUND CAKE?!" and "JAGUAR SLEEPOVER!" The former is a meme originating from one of Egoraptor's sketches from the Street Fighter Collab on Newgrounds and the latter is an oft-quoted Mondegreen of Adon's Jaguar Revolver Ultra in IV. BioWare sells "Enchantment!" and "Morrigan Disapproves" t-shirts, based on popular phrases from Dragon Age, as well as "Isaac Newton is the deadliest sonofabitch in space!" and "favorite store on the Citadel" memes from Mass Effect. For a while, they also sold a t-shirt of Mass Effect's "I should go." The Elder Scrolls V: Skyrim: On Xbox 360, you can get an "Arrow in the Knee" accessory for your Avatar. Additionally, at E3 2018, Todd Howard jokingly announced a very special edition of Skyrim, as a reference to the meme that it gets released on pretty much every system. No joke. If you have an Echo, you actually can play it. At E3 2012, Nintendo's Reggie Fils-Aime came out and said "Yes, my body was ready." In a Nintendo Direct after E3 2012, Nintendo president Satoru Iwata held a bunch of bananas for a few seconds, for seemingly no reason. This quickly turned into a meme, and the very next E3 Nintendo posted a picture of Iwata holding bananas with the caption "Bananas @ E3" on Facebook. In Nintendo's show for E3 2014, when talking about the success of Mario Kart 8, they edited in the memetic "Luigi Death Stare," wherein Luigi gives off a Death Glare when he passes an opponent. Keep in mind this meme was less than a week old when they did this. Nintendo's show for E3 2015 was a fountain of this, all with Iwata, Miyamoto, and Fils-amie as muppets. Of course, there was Reggie's "My (puppet) body is ready" and a brief scene where puppet Iwata stares at a bunch of bananas for several seconds. Iwata also acknowledged his Memetic Hand Gesture a few times, first when his puppet self was first revealed ("I will go directly to the stage"), and another brief scene where he does it repeatedly for no apparent reason, then somehow knocks puppet-Reggie over by directing the gesture at him. A video promoting the Mii Fighters in Super Smash Bros. for Nintendo 3DS/Wii U showed Iwata using the gesture as an attack (resembling Make Me Wanna Shout) during his battle with Reggie. During the 2017 Nintendo World Championships, though not at E3, one announcer noted in the Mario Party 2 round that Luigi couldn't win just by doing nothing. Charles Martinet said "Too bad. Waluigi time!" in Waluigi's voice on request note Waluigi never said this in the games, although he said "Waluigi time!" in Mario Kart: Double Dash!!. Blizzard Entertainment has been using the phrase "the rush begins" (changed to "has begun" after release day) in some of the advertising for StarCraft II: Heart of the Swarm. The last 24 hours of the Star Citizen crowdfunding campaign were streamed from lent office space in Austin, TX. For about two hours, the team went out for dinner and left an IKEA table lamp with a paper sign taped to it perched in front of a camera as a makeshift, "We'll be right back" sign. The team returned to find that, in their absence, the silly, sleep-deprived fan community had begun building all sorts of weird lore around the lamp, jokingly deifying it, naming squadrons or guilds for it, giving it an imagined personality, addressing direct questions to it in the chat threads, and so forth. Some members of the development team joined in on the joke, and at least for the foreseeable future, the Lamp will continue to make appearances in some of the development team webcasts. Mike Pollock, voice actor of Dr. Eggman, was once asked to say "Snooping as usual, I see! "note from Adventures of Sonic the Hedgehog, which came long before Pollock began voicing Eggman in his Eggman voice. Once he learned why he was given the request, he stated that he would never take requests from fans again. Though he seems to have lightened up about it, given that Eggman also says the line in an episode of Sonic Boom. In June 2015, long-time fan Aaron Webber a.k.a. RubyEclipse became the PR representative of the franchise, and the series' official Twitter took this into truly outrageous heights. It's referenced the Tails Doll note a memetically creepy doppelganger of Tails from Sonic R, "IT'S NO USE!" note the most recurrent piece of Silver's Boss Banter from Sonic '06, "original character do not steal" note a mockery of the fandom's tendency to create OCs who are often blatant recolors with exaggerated powers, as popularized by Boxer Hockey and Sonic Shorts, "Strange, isn't it?" note Sonic's line to Metal Sonic during their final battle in Sonic the Hedgehog: The Movie, the Barrel of Doom note a legendary instance of Guide Dang It! from Carnival Night Zone Act 2 of Sonic 3, "Bounce Pad!" note one of the more notable examples of Lull Destruction from Rise of Lyric, as seen below, Knuckles' rap music note Knuckles' Leitmotif in the Adventure duology, as well as all his stage music in Adventure 2, falls under the genres of rap and jazzhop and is often considered to be So Bad, It's Good, Sonic 06's load times and infamous kiss scene note among its many grievances, Sonic the Hedgehog (2006) is full of Loads and Loads of Loading and features a kiss between Sonic and a human woman, both versions of "Sanic" note a series of fan art and animations involving a crudely drawn, poorly illustrated version of the Blue Blur whose name is deliberately misspelled, often accompanied by the GOTTA GO FAST meme started by Sonic X, Sonic.exe note a well-known (and oft-mocked) Sonic Creepypasta, and even Sonichu  culminating in a contest devoted to the "& Knuckles" meme. In the 2016 one, when Game Grumps tweeted, Sonic and Eggman quoted Arin's infamous Rage Quit during their Sonic the Hedgehog (2006) playthrough. Sonic: Whoa, Eggman, listen. Sometimes you gotta draw a line in the sand, man. You gotta ask yourself, "What am I willing to put up with today?" Eggman: Well, clearly not this. The 2017 one, which featured Shadow, opened with Shadow introducing himself and mentioning that he's been searching for that fourth Chaos Emerald for some time now, referencing the "Where's that DAMN fourth Chaos Emerald?" meme from Shadow the Hedgehog. In Sonic Forces, Shadow received numerous comparisons to Ryuko Matoi of Kill la Kill, a similarly red-and-black "edgy" character. During the 2017 Twitter Takeover, Shadow revealed that his favorite anime is "the one with the edgy girl and the scissor blade". The Lull Destruction from Sonic Boom: Rise of Lyric became a meme very quickly. Roger Craig Smith (the voice of Sonic) happily joined in on it during a charity livestream in which various Sonic games were played. note The best part is, he wasn't even playing Rise of Lyric. Instead, he played City Escape, the first level of Sonic Adventure 2. "Nintendo of Europe supports the No Coin Left Behind movement! " Focus Home Interactive, who produce Sherlock Holmes video games, had Watson teleporting in Sherlock Holmes Versus Arsène Lupin due to the developers being pressed for time, forcing them to not implement pathfinder A.I. for Watson, and Watson's mad teleportation skills were widely seen as creepy. In March, they produced a video based off of this small "Creepy Watson" meme. One of the songs in Hatsune Miku: Project DIVA F is the song from the once-popular Nyan Cat meme, since the original, rather limited, vocals belonged to Hatsune Miku! Cryptic Studios' James "Borticus" Randall, part of the dev team for Star Trek Online, voiced Captain James Kurland, C.O. of Deep Space 9, in the featured episode "The 2800". After complaints about Kurland's constant spamming of the line "KURLAND HERE" in "Boldly They Rode" went memetic, Borticus commented on the forums that it was "not my best work, I'm afraid" and even added it to his forum signature. At Gamescom 2014, Masuda says Hoenn Confirmed in his message to fans awaiting the upcoming Pokémon Omega Ruby and Alpha Sapphire games. Nintendo UK's website once had an Error screen saying I AM ERROR. As of Sept. 2017, only the title bar/tab name says that, and it's a page where the visitor can make the screen "do a barrel roll". The reveal trailer for the 3DS remake of The Legend of Zelda: Majora's Mask really played up the creepiness of Termina, and at one point the camera lingers over Link's Elegy of Emptiness statue (the face behind "Ben Drowned") for longer than the other scenes. Link's Catch-Phrase of "Well, excuse me, princess!" uttered in The Legend of Zelda animated series is used by an NPC in a sidequest in Xenoblade. (Monolith Soft was the developer of that game, but Monolith is owned by Nintendo.) This line actually works, because the character on which this line is spoken to is actually a princess. Street Fighter X Mega Man has a track called "Goes With Everything." Once the appropriate code is activated, all the music in the game is replaced with this one. This track is, as you might expect, Guile's theme. The Villain Protagonist of Hatred earned the Fan Nickname "Not Important" from the trailer, where he stated "My name is not important." The creators themselves have taken to referring to him as Not Important as well. A Splatoon update added a bit of stage announcement chatter for Callie and Marie that references the infamous "YOU'RE A KID YOU'RE A SQUID" meme. Their Squid Research Laboratory Tumblr page has also acknowledged a number of in-jokes and memes that regularly crop up on the player-made Miiverse graffiti. In Splatoon 2 Marina references the "I wish squids were real" meme with "I wish humans were real". Note that Marina does know humans are real as they're an extinct species whose fossils are everywhere, so it's clearly just a joke. The box art of Shin Megami Tensei: Lucifer's Call (the PAL version of Shin Megami Tensei III: Nocturne) had, on the cover, the phrase "Featuring Dante from the Devil May Cry series." The line became massively popular, to the point where Atlus mentioned it twice in the buildup to Shin Megami Tensei IV: Apocalypse — once in a blog post about naming the game, and once in a joke video about the game's name. Capcom itself, the publisher/developer of Devil May Cry, referenced the meme in a tweet when a Devil May Cry inspired cross-over event went live in Monster Hunter: World. Adam Croasdell acknowledges the memetic status of his character Ignis's line "I've come up with a new recipe!" from Final Fantasy XV. Tabata himself even acknowledged the "car driving" meme - he thought it was Actually Pretty Funny and even released high quality image templates for people to use. This video of DOOM (2016)'s original soundtrack, uploaded by Bethesda themselves, includes a brief appearance by the "Doot Revenant." The game itself acknowledges the "Rip and Tear" meme literally seconds into the tutorial. Lucie Pohl and Jen Cohn, the voice actresses for Mercy and Pharah in Overwatch, are known to reference and tease the Shipping of their characters, known affectionately among fans as "Pharmercy." Fallout: New Vegas opens with the player undergoing a Rorschach test; fans joked that one of the cards looks like two bears high-fiving, which lead to someone making a mod specifically to add that response into the game. Obsidian acknowledged this by introducing an Amerindian character named "Two-Bears-High-Fiving " in the DLC Honest Hearts. Monster Hunter: World: In the quest "The Food Chain Dominator", the Handler refers to Deviljho as a "pickle", a reference to a popular Fan Nickname for the monster. Fire Emblem Echoes: Shadows of Valentia has had a couple of the voice actors reference some of the fandom jokes. 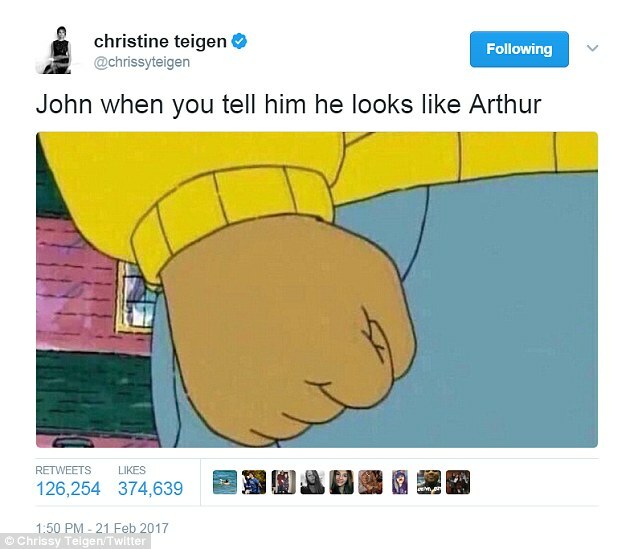 Gray's early line of "Shut up, Tobin" quickly became a meme due to its delivery. Max Mittelman, Gray's voice actor, has brought up the line at at least one con . Chris Hackney, Boey's English VA, has acknowledged a number of Boey-related jokes on his Twitter. Most notable are the ones regarding his strange liking of flour and the infamous scream he makes in Act 4. In Fire Emblem Fates, the fandom quickly latched onto tomatoes being Leo's Trademark Favorite Food. The above-linked video also features Max Mittelman (who is also the English voice of Leo) referencing all of the tomato jokes. An announcer pack for Dota 2 has Gabe Newell, founder and CEO of Valve, calling out your killing sprees, and many lines in the pack have Newell acknowledging many memes and jokes about him and his company. The Director's Cut commentary for Deus Ex: Human Revolution has the staff acknowledging the memetic videos involving Adam Jensen, such as Safety Dance, Adam Jensen Walks Into A Bar, and Punch Punch Revolution. Riot Game's periodic Q&A session posted on their website is named 'Rito Pls', a common gag used in-game for when you want to complain about the developers making the game the way it is (usually in the vein of 'why is this character so broken'). In one of their website posts explaining about new use of smart pings, the developers' chosen image was of the '?' ping over a dead player character - a common site in-game when players are demanding to know what someone thought they were doing when they got themselves killed. In a 2018 run of the One For All mode, where everyone on each team plays the same character, the devs pointed out that in this version buffs can stack on top of each other when they wouldn't normally. Among the examples they gave for this was that Sivir, with five stacks of Sivir's ultimate ability stacked at once, is the fastest thing in the game. They highlighted this by saying she has won the title of The Fast from Jhin, after a notorious Jhin movespeed build of that name that became popular on YouTube. At one particular Comiket, 0verflow named their booth "Nice Boat." After "The miracle never happen" in Phoenix Wright: Ace Attorney  Justice for All, Janet Hsu mentioned in an update for the 3DS Ace Attorney Trilogy that "the miracle did happen!" as they're proofreading the text again for the new release. In another post, she showed the "Eat your hamburgers, Apollo" comic making fun of the series' Thinly-Veiled Dub Country Change and explained that the English games take place in an Alternate History where Japanese immigrants were accepted in America more than they were in real life, and Japanese culture was allowed to flourish. Spike Chunsoft loves the Zero Escape parodies made by YouTuber CaptainCrisby. Bryce Papenbrook, the voice of Nagito Komaeda in the Danganronpa series, acknowledged the bagel meme started by NicoB. Ever since Kokichi Oma's official artwork in New Danganronpa V3 of holding a bottle of grape Panta, the fans seem to treat it like it is his Trademark Favorite Food even though Kokichi never talks about Panta in the actual canon (although his report card says he likes carbonated drinks). NicoCafe menu drinks that are themed after this game ended up having Grape Fanta as his drink. Homestuck: The Betty Crocker corporation has referenced their role as a villain in Homestuck several times on their Twitter account. They were once asked if they were aware that their CEO was an alien troll queen attempting to destroy the universe. Their response was "We can neither confirm nor deny." Epic Rap Battles of History did a rap battle between Donald Trump vs. Ebenezer Scrooge. The very next day after the video was released, Donald Trump himself tweeted about the video, understandably confused and asking "What's with this rap stuff between me and Ebenezer Scrooge?" Many of the real-life celebrities who have been "featured" in the rap battles have since acknowledged their respective videos, including Stephen King (who even tweeted his own lyrics in response), Bill Nye , and Gordon Ramsay. The creator of quiz site Sporcle decided to answer a question to the site's Ascended Meme (Kyrgyzstan, the hard to spell country the fanbase loves) with another comment section Running Gag: "Mike Krzyzewski could have been our inside joke, but he's too U.S. centric." My Little Pony: Friendship Is Magic has a lot of these. This season 2 promo acknowledges acknowledged the fan terms "brony" (term for fans of the show, usually defined as the older male ones) and "DJ Pon-3" (for the DJ pony seen in "Suited for Success"). At the January 2012 Bronycon, Ashleigh Ball was asked to say one of Jappleack's lines from APPLE.MOV. She settled for "Uh... Fu... Forget you! Ah can eat all these apples!" Hotdiggedydemon, the maker of the .MOV series, posted a response. May 30, 2012 saw the announcement of a special edition toy for Comic-con. The toy packaging is nameless, but contains a gray pegasus pony with blond hair, bubbles cutie mark, and yellow walleyes. The package is complete with muffins on the box art. Speaking of, even in the show itself pretty much everything owing to Derpy Hooves' character, from her status as a lovable good-natured ditz, her job as a postal worker and mail carrier, and her (potentially romantic) relationship with Doctor Whooves all come from memes created by fans. The nature of Lyra and Bon Bon's friendship being so overtly romantic (though stopping just short of admitting it, or insisting they're "best friends") is a response to their now memetic standing as a very popular One True Pairing among fans. Coming full circle, the term "best friends" has become a meme in the fandom that refers to characters who are in love. WeLoveFine's officially licensed My Little Pony line of shirts is at least half ascended memes. Also inverted in a way: Ghost of True Capitalist Radio would often describe himself as "Melting Pot of Friendship" to deflect accusations of racism. He also hates the show and its fandom. So a "fan" recorded Tara Strong saying in her Twilight Sparkle voice that she's a Melting Pot of Friendship. Ghost took it well. A DVD box set featured a "Now 20% cooler!" sticker. The official extended version of the song "Awesome As I Wanna Be" includes the line "You wish you could be 20% cooler." The song "My Little Pony Friends," a song originally written as the end credits song for the My Little Pony Equestria Girls movie, includes the lyrics "Love and Tolerate." The Legend of Korra fandom managed to get Steve Blum to read out some "Comedy Amon" jokes at a convention. Comedy Central's bumpers promoting the 2012 season of Futurama were based off of several popular memes, including Fry's "Not Sure If..." and "Why Not Zoidberg? ", with Billy West providing the voiceovers. An ad for the 2014 Kids Choice Awards on Nickelodeon makes use of the the Surprised Patrick meme. An arguable case, since the meme referenced isn't related to the work itself, but The Lion Guard character Bunga, known for extreme bravery and and not being bothered by anything, is a Honey Badger. The creators even admit that the character was partially influenced by the "honey badger don't care" meme. Steven Universe has the incredibly well-known meme known as ""Pearl's secret rap career" note created by YouTuber MKAtwood . The meme features Pearl singing and dancing to the song "LA" by The Party, but only the verse sung by Deedee Magno Hall, Pearl's voice actress. Hilarious, especially since the final installment of this meme features footage of Deedee herself REACTING to it. For a while there was a meme of portraying Peridot as very stereotypically Canadian. This was because some fans speculated she had landed in Canada, however it was later shown that she didn't. Still, Peridot becomes obsessed with a very Canadian Show Within a Show called "Camp Pining Hearts". The creators of Voltron: Legendary Defender have acknowledged Shiro as being the "Space Dad." Shiro's voice actor, Josh Keaton, seems to be especially fond of using it on social media. After the series finale of Samurai Jack, Aku's voice actor Greg Baldwin had this to say. The Special Edition Title of Season 30 of The Simpsons had a very brief clip of an episode from the previous 29 seasons play in reverse chronological order. The clip that represents Season 7 was Superintendent Chalmers saying "steamed hams" from the episode 22 Short Films About Springfield, specifically Principal Skinner's segment of the episode. That segment was a rather popular meme during the year of the Season 30 premier, flying under the name "Steamed Hams". Klasky-Csupo, known for cartoons such as Rugrats and The Wild Thornberrys, at one point took notice of the constant remixes on the internet of their second Vanity Plate depicting a yellow construction paper face which infamously scared quite a few children when they watched their shows. Their response? They named said face Splaat, made him their official mascot, and gave him a short-lived webtoon called RoboSplaat, the first episode of which has him complaining about his scary reputation, the constant remixes he has to put up with, and how the aforementioned remixers keep referring to him as the "robot" logo when he's actually an ink splat. Ryan Gosling has been asked in interviews about fuckyeahryangosling.tumblr.com and has read out some of the captions of the images on that site. There is a series of Vines where a man attempts to feed Gosling cereal, only to be aptly rejected. The creator of these Vines, Ryan McHenry, died of cancer on May 3rd, 2015. Gosling paid tribute in the most appropriate way possible: finally eating some cereal. 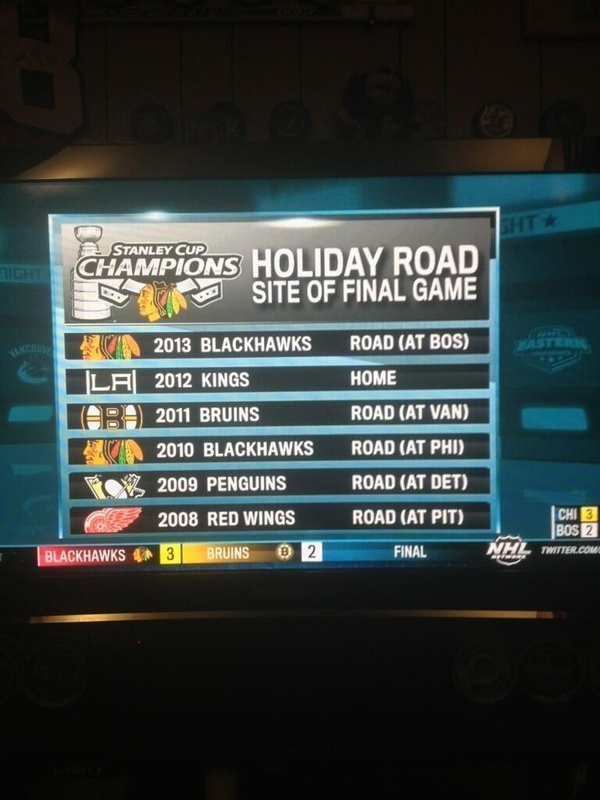 After Chicago Blackhawks fans adopted Lindsey Buckingham's "Holiday Road" as their unofficial anthem for the team's run through The Stanley Cup playoffs, the NHL Network used the title of the song ◊ when noting that five of the last six Stanley Cup winners have won the Cup on the road. The NBA Youtube account acknowledged Memetic Badass Brian Scalabrine by making a mixtape of his best moments, something usually reserved for superstars of the game. Chuck Norris and his public acknowledgement of Chuck Norris Facts in TV interviews. For the most part, he finds them very amusing. Barack Obama used the popular "Thanks, Obama" meme while he was still in office by posting a video of himself trying to dunk a large cookie into a glass of milk that was clearly too small for the cookie. The "Thanks Obama" subreddit promptly shut down, noting that there was no way anyone else could ever top that. A 2008 video of a lecture by law professor James Duane became a meme within legal circles as "Don't Talk to the Police." In 2014, an episode of Chicago P.D. directly acknowledged this video, and in 2016 Duane himself wrote a book based on the video, You Have the Right to Remain Innocent. Trivago has some played-to-the-point-of-overkill ads. In Brazil, not only they brought back the "Mr. Trivago" to read some comments , but the website also listed their favorite memes inspired by the commercial. Augusto Pinochet Molina, the grandson of the Chilean Dictator Augusto Pinochet Ugarte, frequently shares the american "free helicopter ride" memes.